← GONE! Curb Alert- Free Stuff! 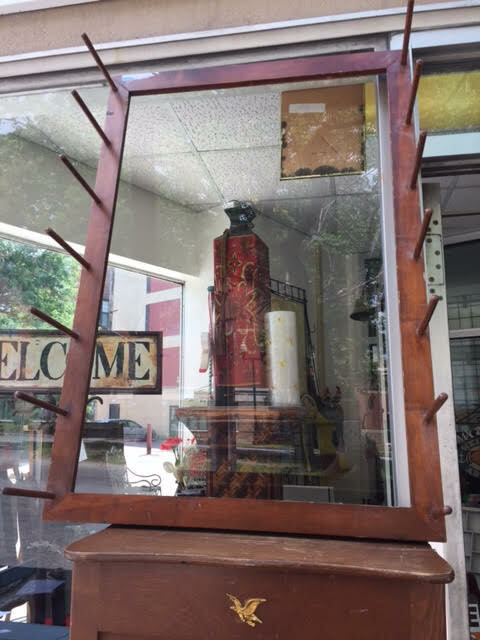 Wooden frame with 7 pegs on each side… or hang it horizontally. Although it appears to have a glass insert, that’s just the shop window in the background. Dimensions: About 3 to 3 1/2 feet x 2 feet. 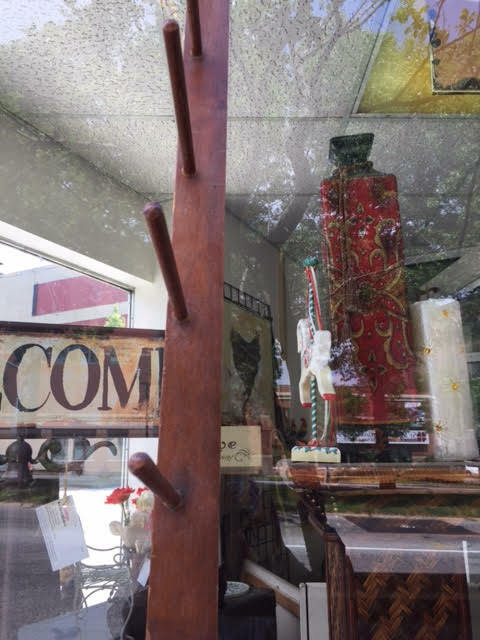 The pegs are about 4″ long. That’s all an estimate though; I’ll have to measure this when I get back to the shop. 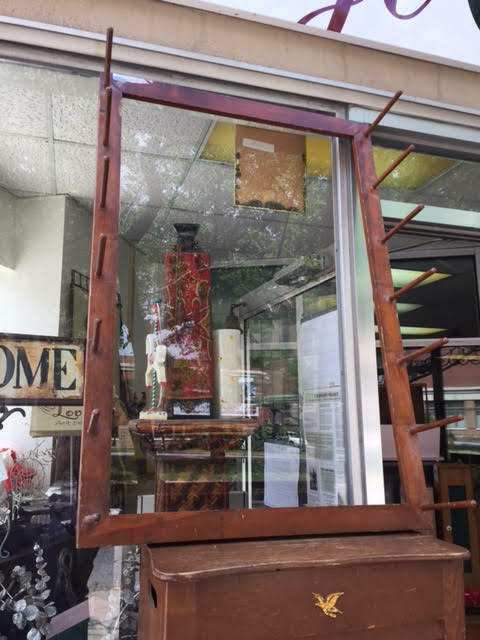 This entry was posted in Furniture - For Recycling Repurposing and Upcycling, Furniture - Miscellaneous and tagged hanger, heritage books and maps, Heritage Collectibles, Heritage Collectibles Books & Maps, wood hanger, wooden frame. Bookmark the permalink.